Drake just confirmed the features on VIEWS using the same meme generator of the album cover that we've all been having way too much fun with for the past couple days. Popcaan, WizKid, Pimp C, Rihanna, PARTYNEXTDOOR, dvsn, and Future are all on the album. 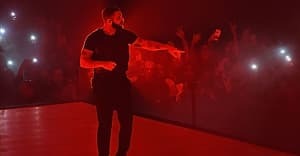 WizKid and Popcaan were already as good as confirmed, but Drake made no mention of The Throne (Kanye West and Jay Z), who appeared on the single version of "Pop Style". See the rest of Drake's VIEWS feature memes below.